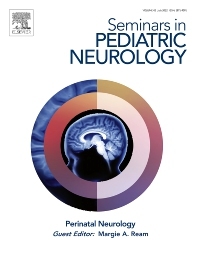 Seminars in Pediatric Neurology is a topical journal that focuses on subjects of current importance in the field of pediatric neurology. The journal is devoted to making the status of such topics and the results of new investigations readily available to the practicing physician. Seminars in Pediatric Neurology is of special interest to pediatric neurologists, pediatric neuropathologists, behavioral pediatricians, and neurologists who treat all ages.